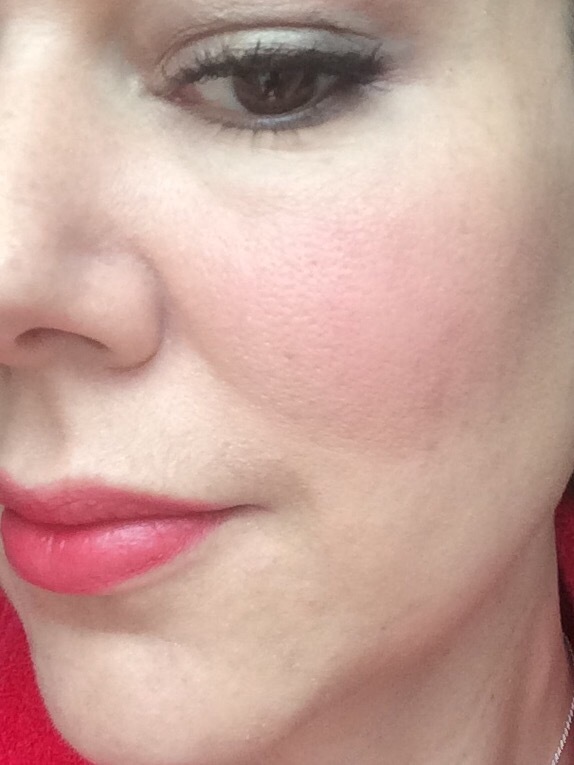 Cheeks-a Tutorial using Charlotte Tilbury Beach Stick. 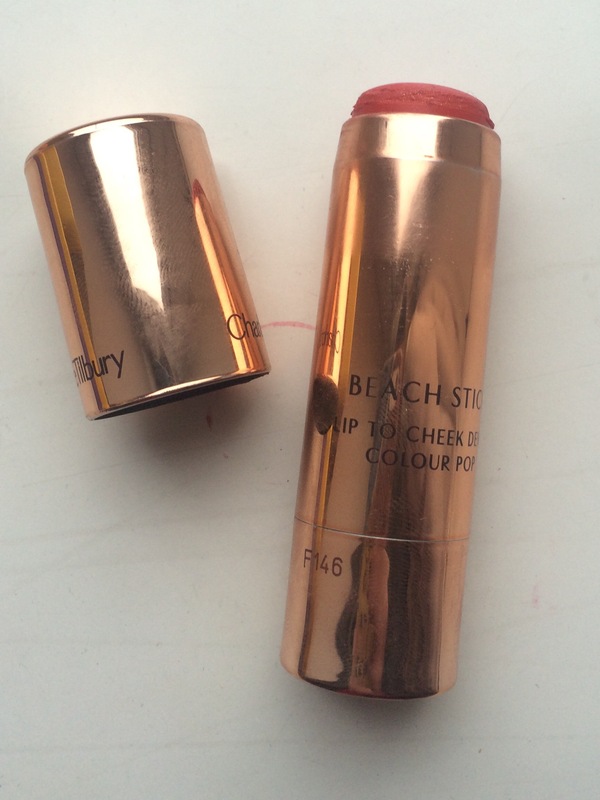 I bought the Charlotte Tilbury Beach Stick (shade Es Vedra) on one of my “money is just a concept ” trips to London. It was a fight getting the Charlotte Tilbury lady to give me attention, I can tell you, but I wasn’t taking disinterested as an answer that day! 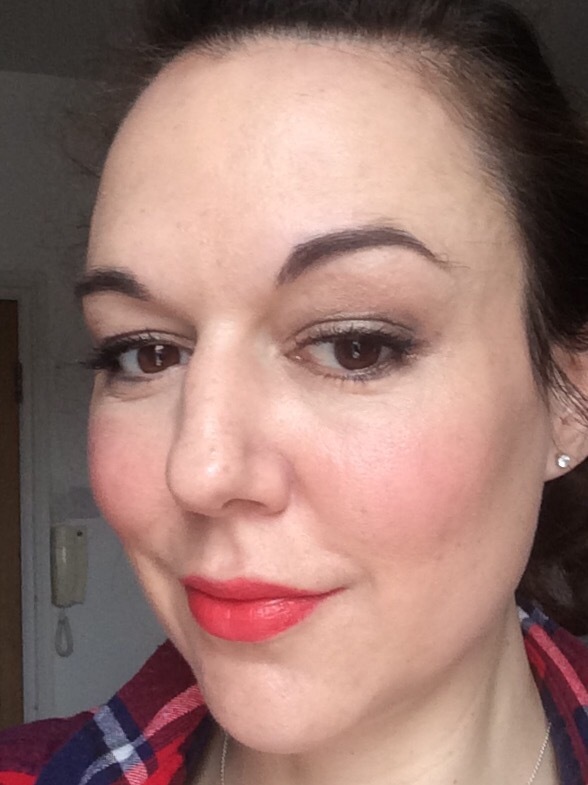 The stick blusher in question is a lovely shade of Coral Red with hints of gold. It’s a dry, creamy texture and blends well. The website blurb goes like this-“Ceramidone is a genius ingredient that acts like a poly-filler to refill and plump up the skin, giving you a youthful, flawless skin surface”. I don’t know about that, but it’s certainly a lovely colour. 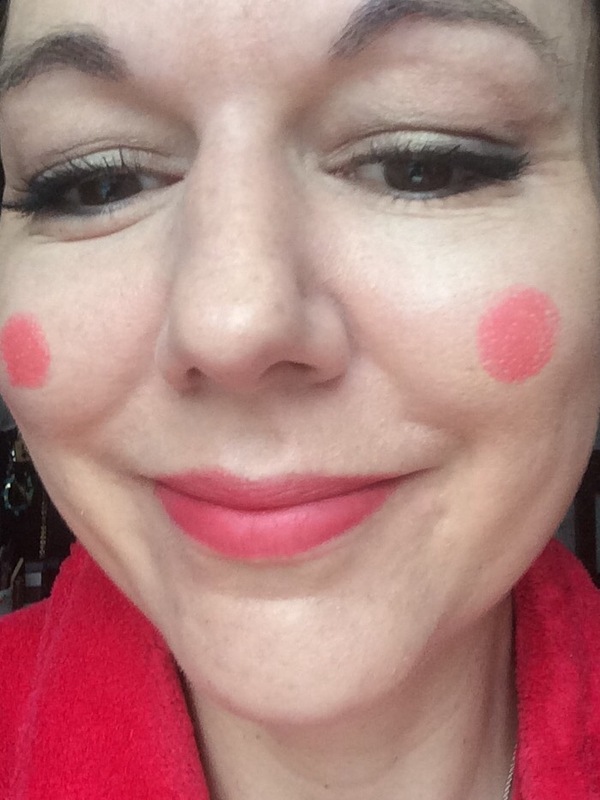 So firstly, I do a massive smile and put two blobs on the fattest parts of my cheeks, so you look like Aunt Sally (anyone under 35 Google image her, you’ll see). Then, obviously, I blend, either with fingers or a blusher brush. I do a bit of contouring, I don’t go mad with it. 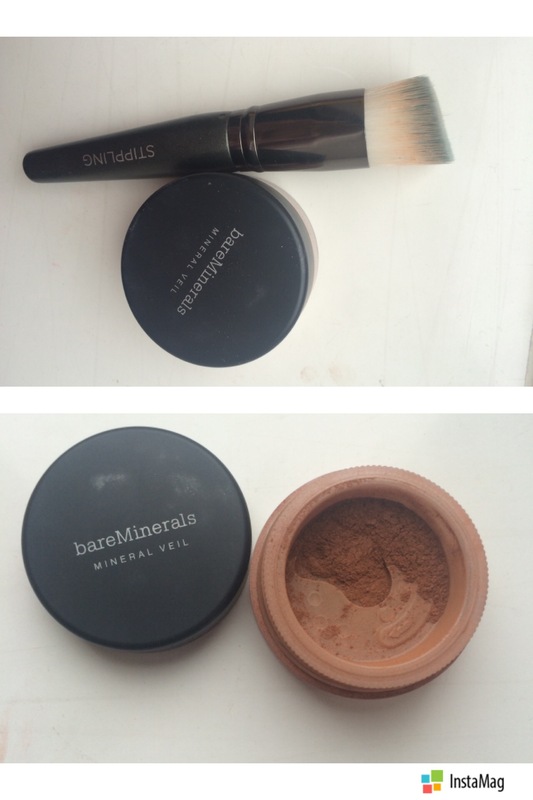 I use a stippling brush I got from Topshop and Bare Minerals Mineral Veil in Warmth, it looks like Cocoa but it blends really nicely. Then lastly highlight upper and outer cheeks, using MAC soft and gentle. I don’t see any harm in putting on quite a lot of makeup, most of its gone by lunchtime. If I put on lots I have a fighting chance of some of it still being there by the evening. You can use the stick as a lipstick too. It’s a bit in yer face for me though. The staying power is middling. 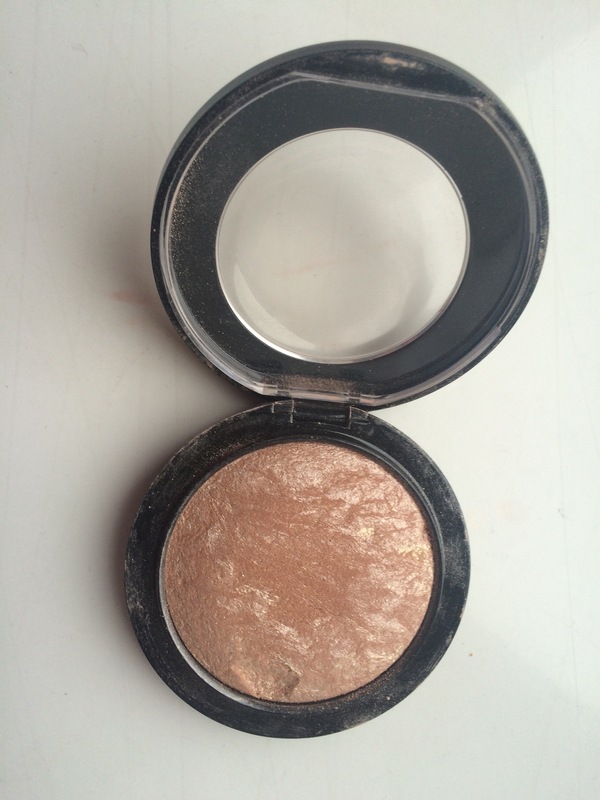 But I much prefer a cream/liquid blush especially if you combine with powder, you can get more intensity of colour. Previous Post Anyone Else Bloglovin’? Next Post Garnier Olio permanent hair dye in Deep Cherry.